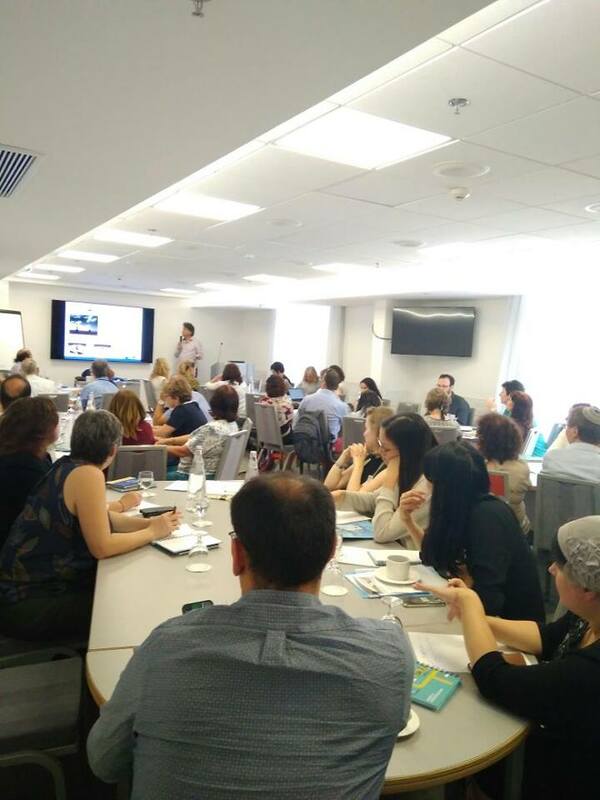 Home About Erasmus+ Higher Education Reform Experts Internationalization in Higher Education Institutions Conference on "Internationalizing Higher Education Institutions"
Conference on "Internationalizing Higher Education Institutions"
A conference on "Internationalization of Higher Education Institutions" organized by Erasmus+ Israel, was held on June 14th-15th, 2017. The first day of the conference was dedicated to the development of an institutional strategy for internationalization and hosted Mr. Hans-Georg van Liempd from the European Association for International Education (EAIE). 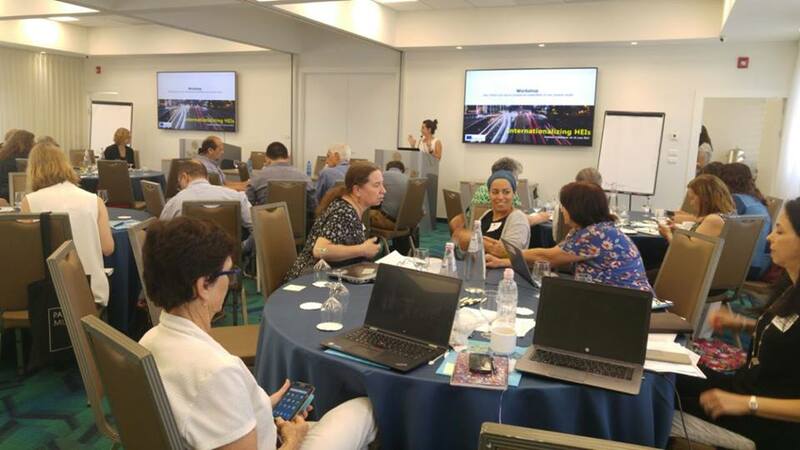 Internationalization of HEIs in Israel is not only the focus of Erasmus+ but also of the new multi-year plan of the CHE and therefore the first day of the conference provided participants with practical tools and knowledge to successfully implement international activities in the framework of Erasmus+ and beyond. Mr. van Liempd morning and afternoon presentations are available in the links. You can also find the exercise sheets distributed during the workshop here. Soon, a video of the first day of the conference will be uploaded.. The first day also included a special panel which showcased some of Israel's local experience in Internationalization. The panel included presentations from Jane Turner, Head, International Office, The Hebrew University. Dr. Vered Holzmann, Project coordinator of IRIS & IN2IT projects. Dr. Ingrid Barth & Dr. Lisa Amdur from the ECOSTAR project. The panel was chaired by Navah Edelstein, International Relations Director, NUIS. The Erasmus+ initiative to develop a "Roadmap to Internationalization" for institutions was also presented during the conference. This Roadmap will guide the institutions through the vast ocean of knowledge and information available on the topic of internationalization, and provide tips and points to consider during the process of internationalize their institution. The second day of the conference focused on the impact of Capacity Building projects on the developing of institutional capacities and on the significance of sustaining their outputs. An afternoon session was devoted to a workshop on sustainability which was facilitated by Ms. Elizabeth Colucci from the European University Association (EUA).